Human Evolution Tech launched earlier this year and are headed up by CEO Ruben Trejo. An address in the US state of Texas for “Human Evolution Tech, LLC” appears on the company website, indicating that this is where it is being run out of. Ruben is a Latino entrepreneur, professional and experienced in developing profitable opportunities. He has a broad vision to reach a global market where many other entrepreneurs can achieve success through a real opportunity. Possibly due to language barriers, I wasn’t able to pinpoint any opportunities Trejo has been involved in. His name did pop up in a BusinessForHome fluff-piece on a Lucrazon Global affiliate (credited as a mentor), however whether Trejo himself was involved in Lucrazon is unclear. That said, unless there’s a whole lot of information in Spanish somewhere that I’m not seeing, Human Evolution Tech would appear to be Trejo’s first MLM venture as an executive. Read on for a full review of the Human Evolution Tech MLM business opportunity. Services listed on the Human Evolution Tech website include online backup, cloud services, an email marketing system, advanced marketing training and “personal development products”. Unfortunately no retail pricing is provided, with the services instead only available through affiliate membership ($100 to $2000). The Human Evolution Tech compensation plan revolves around affiliates recruiting new affiliates and getting paid for it. Everytime a Human Evolution Tech affiliate recruits a new affiliate, they are paid a commission based on how much the new affiliate spends on their membership. The Premier and Ambassador membership levels both pay out a residual recruitment commission. This is paid out an additional four levels of recruitment on top of the first level direct recruitment commission. The Premier membership pays out $30 and the Ambassador membership $55. In addition to direct recruitment commissions, a residual binary commissions is also paid out. These positions form the basis of two binary teams, left and right. The first two positions branch off into another two positions each, and so on and so forth down a theoretical infinite number of levels. Filled positions in a binary team represent recruited affiliates, recruited either directly or via the efforts of an affiliate’s up and downlines. Commissions are paid via the tracking of sales volume, with 1 Business Volume (BV) point equal to $1 spent on affiliate membership. Points from affiliates who are not personally recruited are tallied each week, with commissions paid out via the pairing of 300 BV between the two binary teams. Actual commission pay outs are only made on the weaker of the two binary teams (sales volume wise), with any leftover BV carried over to the next week. If the soft weekly cap is reached, commissions are still paid out, however all cycle payments are then dropped to $30. This is irrespective of how much BV continues to be paired (every 300 BV paired will only pay $30). All Human Evolution Tech affiliates are charged a $100 monthly membership fee. Commissions are paid out on the payment of this fee via a unilevel compensation structure. 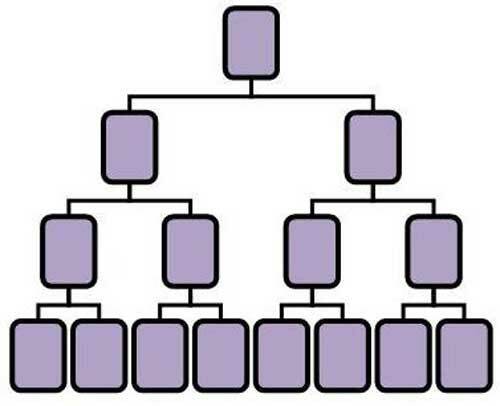 A unilevel compensation structure places an affiliate at the top of a unilevel team. If an affiliate personally recruits new affiliates, they are placed on level 1 of the unilevel team. If any level 1 affiliates go on to recruit new affiliates of their own, they are placed on level 2 of the original affiliate’s unilevel team. If any level 2 affiliates recruit new affiliates, they are placed on level 3 and so on and so forth down a theoretical infinite number of levels. An additional $100 monthly fee is also charged, with the main difference between the membership options above being commission percentages and eligibility. A bit late to the party, Human Evolution Tech appears to have been launched to capture some of the South American demographic that similar cloud-based schemes before it capitalized on. WCM777 being the most notable, Human Evolution Tech swaps out the Ponzi business model in place of a more typical recruitment-driven one. Human Evolution Tech affiliates decide how much they wish to pay for membership, with the more spent resulting in higher commission percentages, higher weekly binary earning caps and getting paid on more levels of the unilevel. As such, Human Evolution raises a red-flag for facilitating and “pay-to-play” element within its compensation plan. The other major red flag is the complete lack of retail sales. 100% of the revenue going into Human Evolution Tech is derived from affiliates, and paid out squarely based on the number of affiliates recruited and how much they paid in fees. This places the company squarely in pyramid scheme territory, with sustainability reliant on the constant recruitment of new affiliates and their continued payment of a $100 monthly membership fee. The $100 monthly membership fee charged to all affiliates betrays the actual value of the services on offer. Infact, when one considers that some of this fee is paid out via the unilevel, the actual dollar amount all affiliates are charged is less. Quite obviously then, the up to $2000 fee charged affiliates to join the company is then mostly used to fund recruitment commissions – with their being a direct correlation between the more spent on membership as opposed to any services bundled with affiliate membership. Services bundled don’t vary in cost from month to month, with the $100 flat-rate monthly fee again betraying any arguments that the initial fees Human Evolution Tech charge affiliates serves no other purpose over commission funding and qualification. As with all pyramid schemes, once those at the bottom of the scheme fail to recruit new affiliates under them they will stop paying their monthly membership fees. This will in turn kill the residual monthly unilevel commissions of those above them, who will then also stop paying their monthly fees. Eventually this trickles up high enough throughout the company bringing on an inevitable collapse. As an added kick in the nuts, anyone who hasn’t yet recovered their initial affiliate membership fees loses out doubly. Well, can’t say much about Trejo’s correct use of Spanish words. 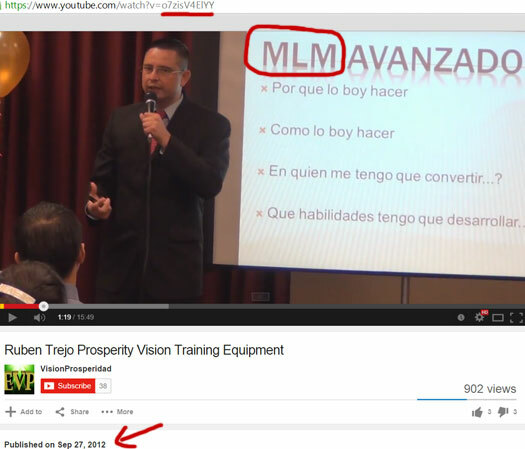 The word typo on the power point slide displays the word “boy”, which should actually be “voy” in Spanish, meaning “I’m going” or “I’m going to”. Not a good start to a Spanish language business presentation. Yes, I can see the “inspiration”, hehehe. Lol nice find. I can just picture some dude playing games when he heard WCM777 went bust.